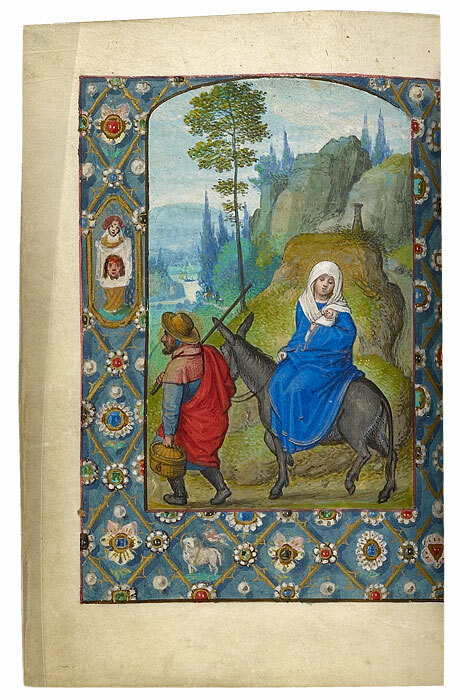 This exhibition of eighteen manuscripts illuminated in the area of Flanders in the southern Netherlands (today part of Belgium) celebrates the variety of styles from the last great flowering of Flemish illumination during the fifteenth and early sixteenth centuries. All Books of Hours, the manuscripts provide intriguing iconographic and stylistic points of comparison with miniatures from The Hours of Catherine of Cleves. 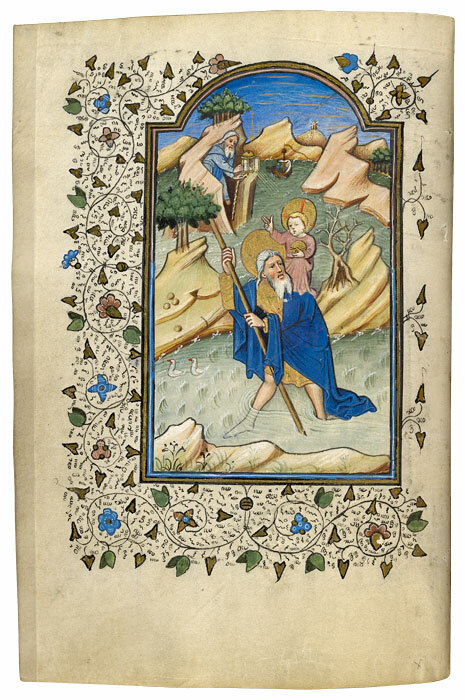 The Morgan's rich holdings of Flemish illumination comprise examples by the major illuminators of this prolific period encompassing the late Middle Ages and early Renaissance. Included are works by Lieven van Lathem and Willem Vrelant, two artists who collaborated with and were influenced by the Master of Catherine of Cleves. This exhibition is underwritten by a major grant from the B. H. Breslauer Foundation. 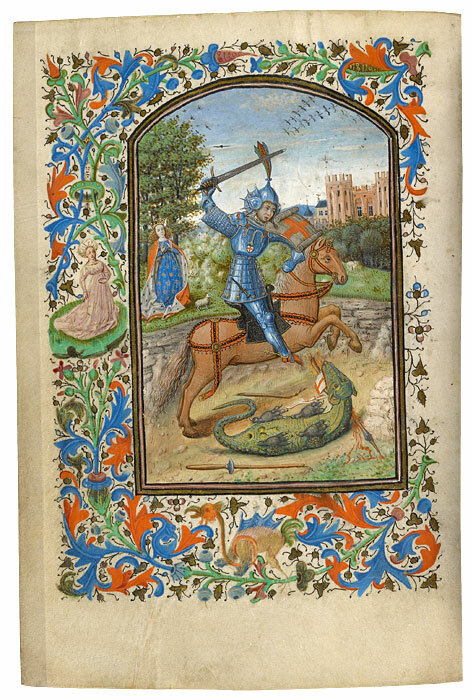 St. George Slaying the Dragon (detail), Book of Hours, in Latin, Belgium, Bruges, ca. 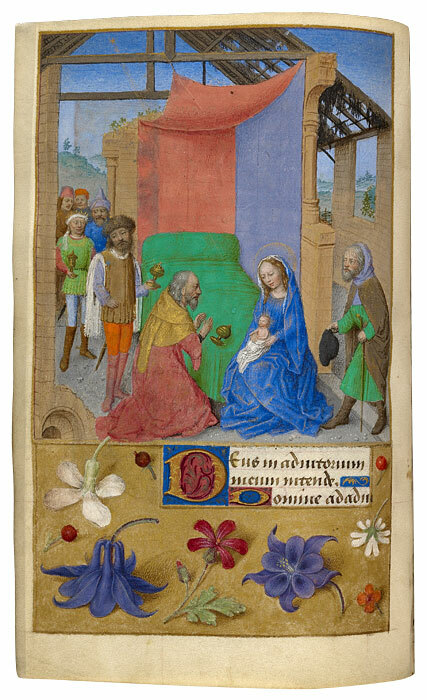 1450, illuminated by Master of Jean Chevrot. 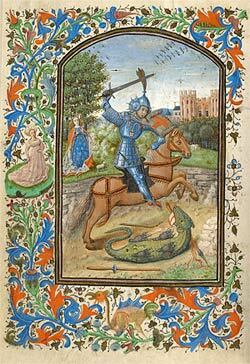 The Morgan Library & Museum; MS M.421, fol. 23v.